This is a personalised Empire Star Paperweight, engraved to your specification. The star paperweight is available in either a silver or gold colour, and is 10cm wide. 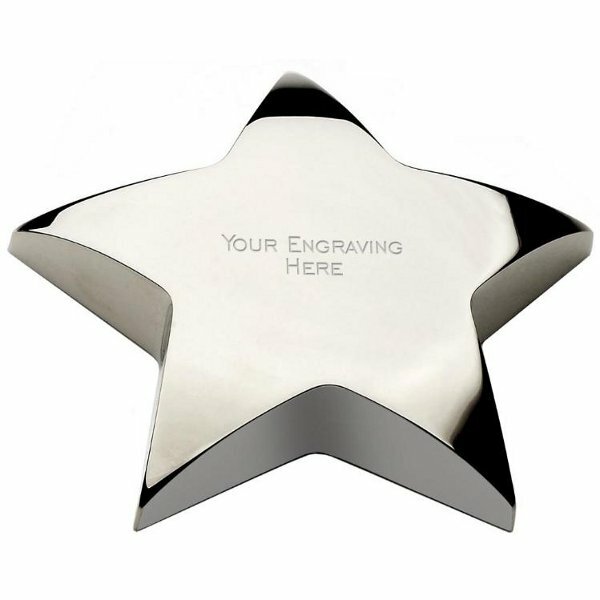 The price of the star paperweight includes up to 50 characters engraved for free to personalise the paperweight. The postage rate for this personalised Empire Star Paperweight is Band B. Unfortunately this paperweight is discontinued, please see the alternatives below.